Posted Date:- 06 Jul 2016 Contrary to popular belief, many real investors feel that real estate investment is not always a risky gamble, if the investor does his research about the market conditions. And many investors feel that investing in commercial properties is more profitable and wise than residential properties. Even if you buy it for investment purpose, you can always earn money by putting it up for rent. The real estate industry is going through a phase of consolidation; thus investment in the commercial market will not only ensure good returns, but also regular monthly income for those who are looking for steady flow of income. Think of the best commercial projects in Noida Expressway. From a small shop to a mall, to a bigger joint like a restaurant or a big shop in a commercial sector; the thrust is on reviving the concept of trust in real estate industry and introduction of smart city projects. Take for instance some of the big commercial projects of Assotech Realty. Assotech Business Cresterra, for instance is a big IT park which offers office space, spaces for lab, research and IT, and ITES offices with access to serviced apartments, shopping, entertainment, health etc. It is not often that you can find everything under one big umbrella. And having so many diverse things under one roof gives you a unique opportunity to choose your preferred area for investment. Shops have always proved to be a good source of investment. The amount of investment in a shop largely depends on its size; but it is the location which also matters. When you buy shops in a mall, it often becomes difficult to manage the entire set up. But with Assotech Realty, you are sure of the developer’s reputation. The maintenance expenses and capital values may be higher. But when you come to think of yields, you will not be disappointed. Sandal Street, one of the ongoing projects in Noida Expressway has an innovative layout of 73,000 square feet offering a high-end shopping experience. Come to think of the combination of functionality with the amazing shopping experience and you are bound to be impressed. It is not just the centralized air-conditioned street or the partially open food court which will capture your imagination; it is the thought that has translated into such a magnificent place that will impress you. It is the marvelous design and the way everything is planned which will make you realize that commercial real estate market is now experimenting with newer ideas. In case of any commercial property, there are fixed hours of operation which is also a huge advantage for a property owner. You need not be on your toes like a residential property, where you need to be extra attentive and extra cautious if you receive a distress call at the dead of the night. The ROI on commercial properties is always calculated in two ways; one being the rent and the second being the capital appreciation which is almost 10% on an annual scale, thus providing you with a proper stable return. 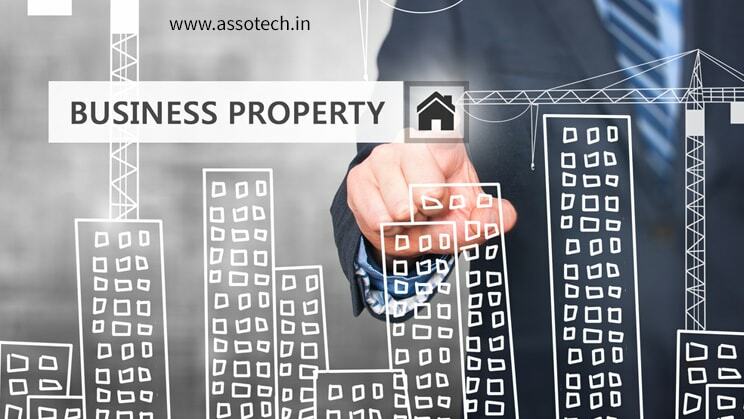 In fact, companies like Assotech Realty are experimenting with new ideas in order to cater to the diversified needs and requirements of commercial investors. New ideas bring new opportunities of investment; and Assotech truly strives to bring new ideas to the table for bringing back the much-desired trust in commercial real estate investment.